Including problems and solutions with clear explanations. Contents (rough): vector algebra, components, units, cross-product, motion in phase, work energy, collision, force, trusses, method of sections, angular displacement, projectile motion, etc. 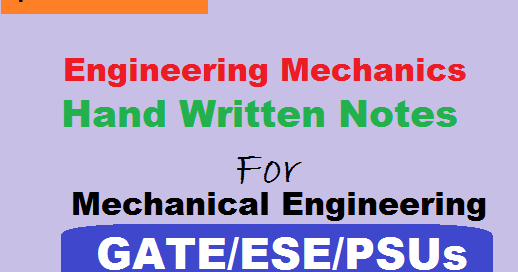 To get the file (rotate), download the Engineering Mechanics Hand Written Lecture Notes PDF.